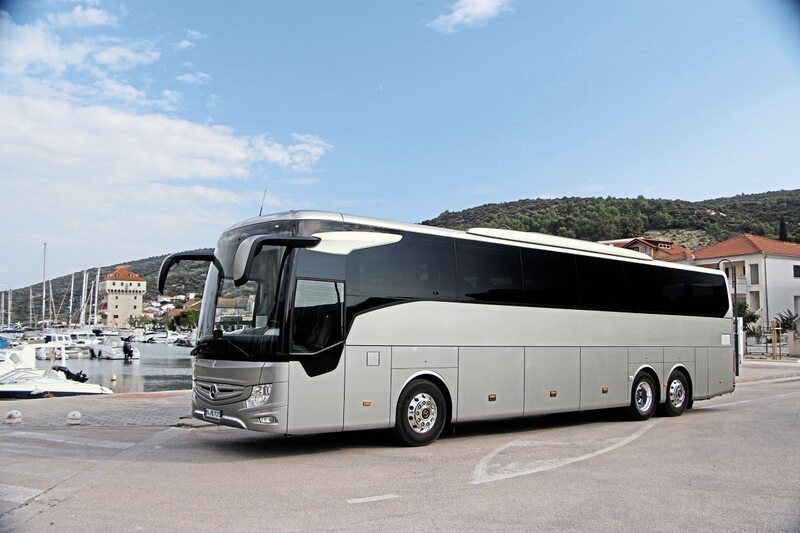 The Mercedes Benz Tourismo is the best-selling coach in Europe and has made an increasing impact on the UK market since it was launched here. Now there is a new generation of the model with many more options, some of them exclusively right-hand-drive, which Daimler Buses hopes will further entrench the model’s appeal. For those operators who were not able to join the launch event in Brussels in June, this week at the NEC will have been their first opportunity to see the new generation Mercedes-Benz Tourismo in the metal. Before the unveiling at the NEC, UK sales of the new model have already passed the 50 mark. 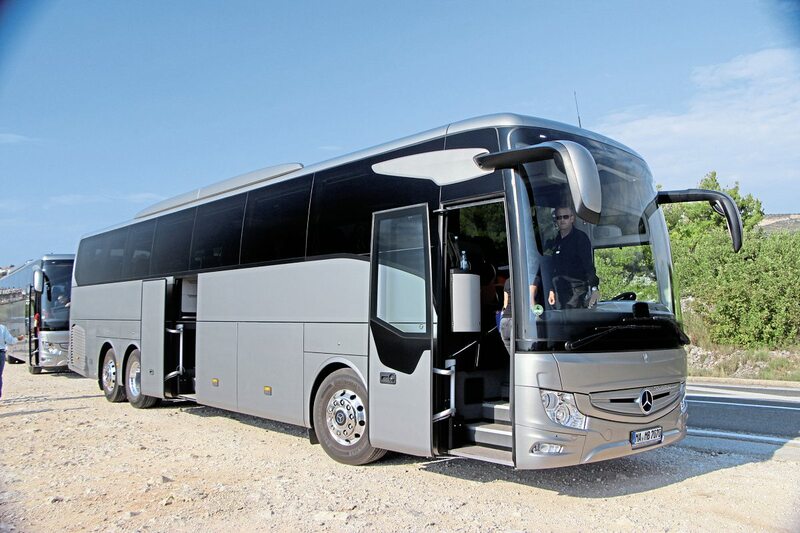 The first right-hand drive examples will start appearing on our roads soon but Mercedes-Benz took the trade press to Split in Croatia to experience the new generation Tourismo on European roads. There are four key model variants in the new line-up and all were available to sample. The shortest is the 12.295m Tourismo on two axles. There is no suffix to the Tourismo moniker when referring to this model, beyond the RHD carried by all models (denoting a high-floor coach). Also on two axles is the 13.115m Tourismo M/2 while on three axles there are the 13.115m Tourismo M/3 and the 13.935m Tourismo L. All versions are 3.68m high. It is worth reiterating that, from the outset, all versions are available in the UK in right-hand drive, a point emphasised at the launch when one of the coaches shown was a UK spec coach. There were two other lower-height models in the previous Tourismo range; the 12m Tourismo RH and the 10.32m Tourismo K, both of which have only ever been offered in left-hand drive. These will continue in production with modifications to ensure they meet all current legislation requirements, such as that for ECE R66.02 (rollover), but it is not anticipated that they will be made available in the UK. I understand that there is a possibility the Tourismo K will be upgraded to the latest specification and appearance but this is not likely to be for some years. Neither were represented in Split. 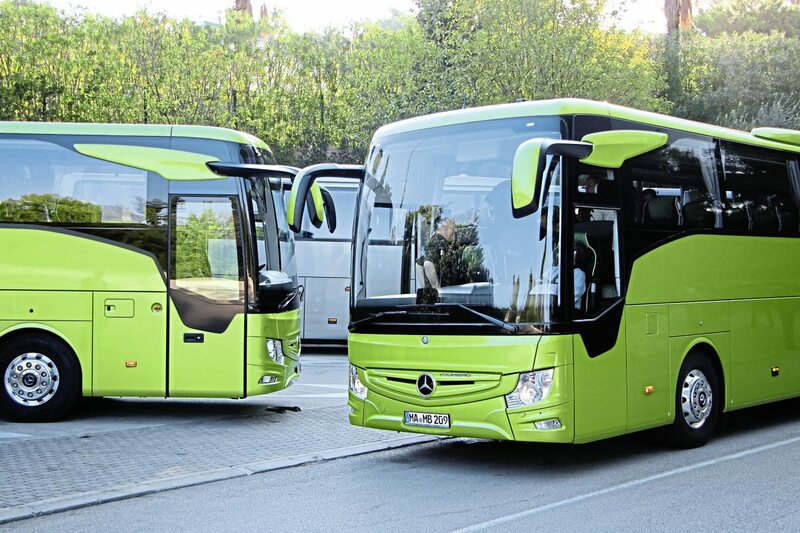 It is Daimler’s intention that the new Tourismo family will appeal to a wider audience than its predecessor, and the specifications have been developed to facilitate this. At the top end of the Mercedes-Benz range the existing Travego model is being discontinued and to retain those customers that have traditionally purchased it there are new options in how the coach can be specified as well as a new increased power option. 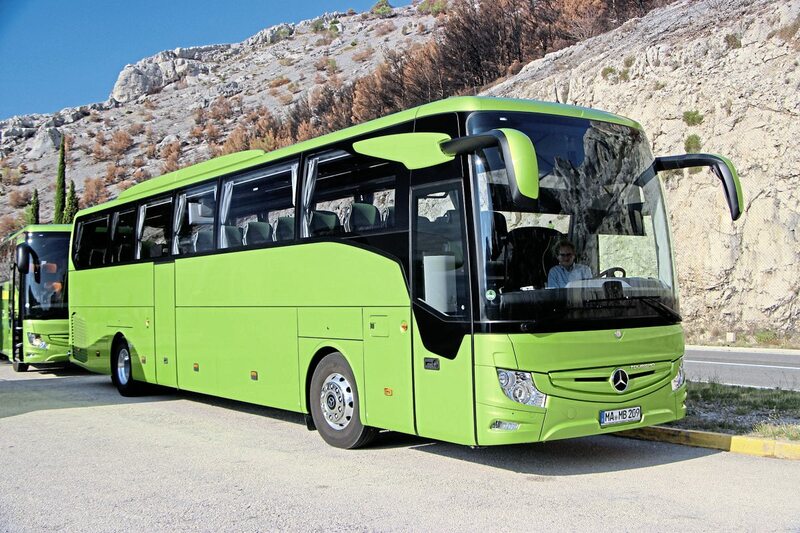 At the other end of the scale, the Tourismo has always been available in basic versions but a departure is the availability of the 7.7-litre OM936 unit, rather than the standard 10.7-litre OM470, lowering the entry cost of joining the Tourismo family. They are not expecting it to represent a large proportion of sales (under 10%) but the willingness to introduce alternatives is a sign of Daimler’s keenness to offer options to suit every application. TCO reduction came in various forms. Not only is there the reduced drag coefficient of 0.33 achieved through improved aerodynamics and a 20mm lowering of the body at speed, there are longer service intervals (120,000km oil changes), increased parts commonality with other group products (such as the Actros headlights), reduced maintenance contract costs (in Germany) and reduced fuel consumption. Despite the stronger frame which now employs S400 steel in key areas to meet the R6602 rollover requirements, the unladen weight has been reduced by 200kg. 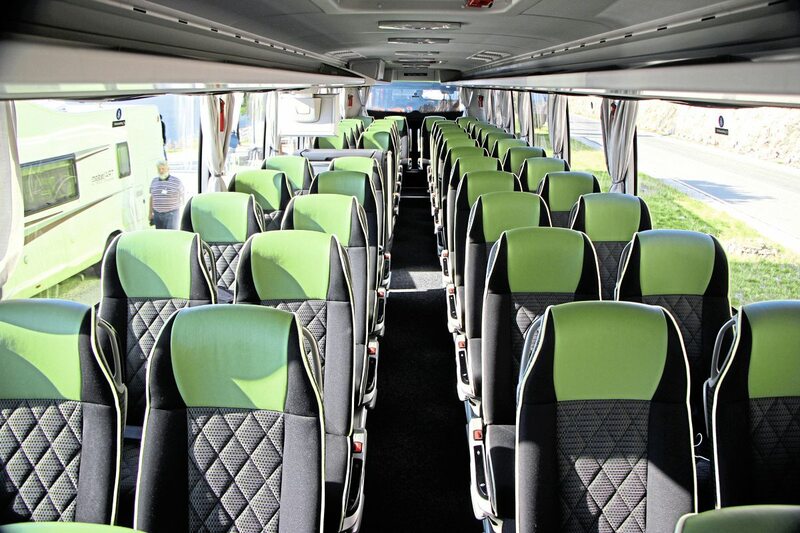 For the passenger there is improved access at both doors, the provision of modern entertainment systems together with power supplies for their personal devices, comfortable seats, improved service sets, new catering options, lower noise levels and improved safety. To benefit the driver, changes include increased passive safety, new active safety systems (some of them optional), more space, more luggage space, a better cab layout, more support systems and an improved view. Daimler Buses’ Head of Product Engineering, Gustav Tuschen, stressed that, apart from the ZF EcoLife gearbox, every part of the drivetrain has the Mercedes-Benz star on it. 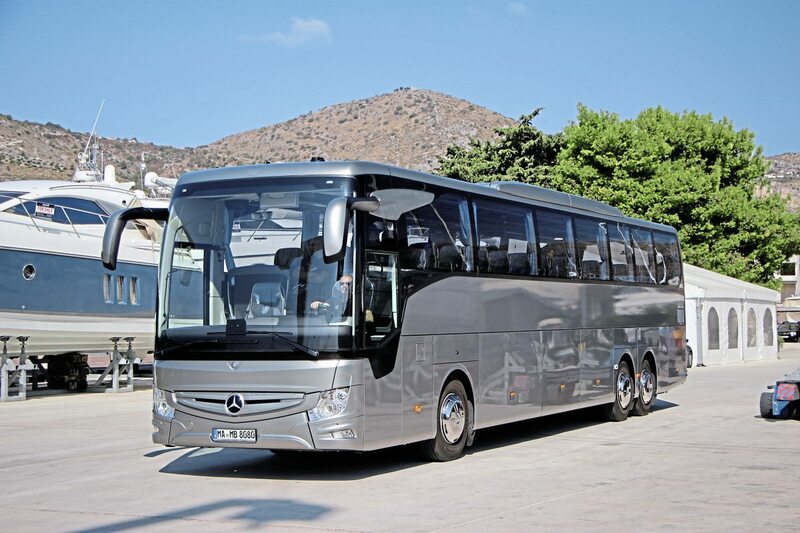 It made the point that the whole bus meets Daimler standards and is fully supported by the company. In left-hand drive, the Tourismo has two different cockpit systems; the Basic Plus which can have a ticket machine mounting post; and the Comfort Plus, which features a silver ‘waterfall’ feature down the passenger door side. 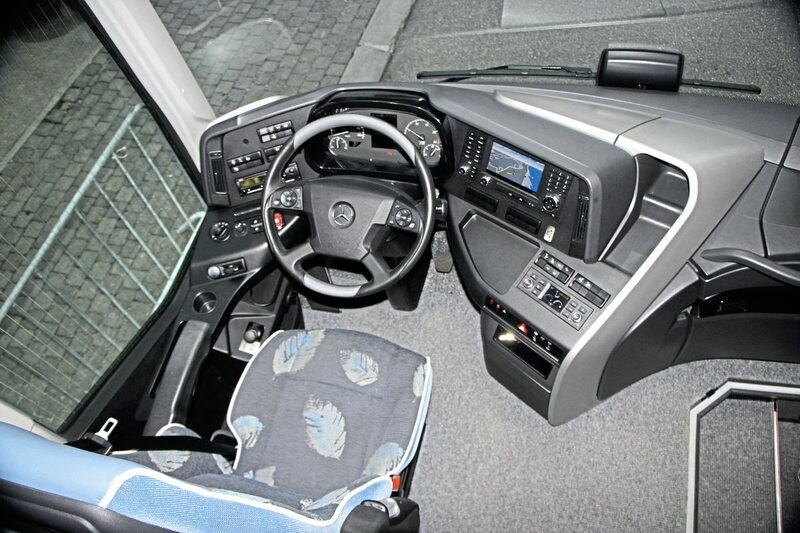 These options are not available in right-hand drive versions, which uses a Setra ComfortClass derived unit instead. Looking at the vehicles individually, I will include comments from my continental colleagues of their experiences in the driving seat. 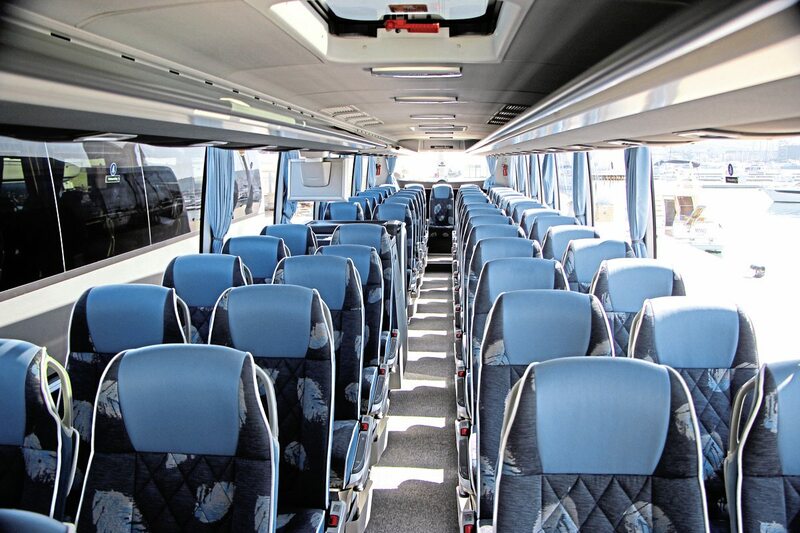 For the 12.3m coach demonstrated, the idea was to show a basic entry-level coach version. 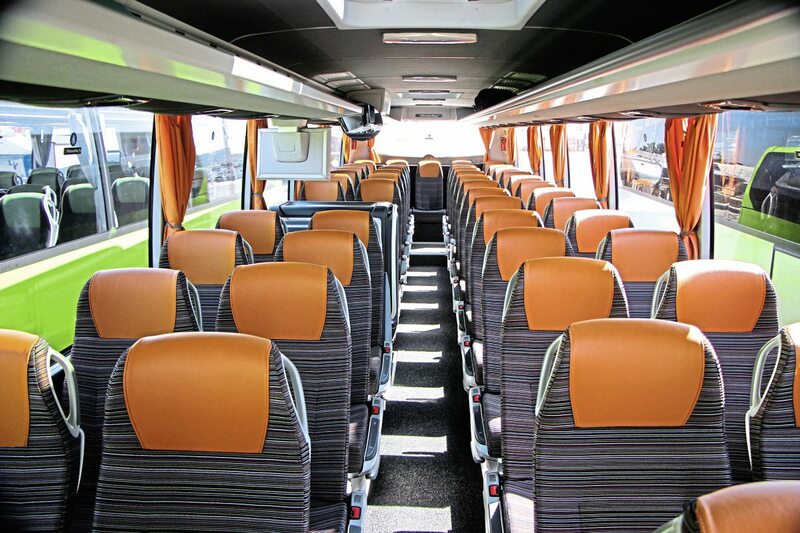 It has 49 basic Travel Star Eco seats with composite leather headrest sections with footrests and tables, the Basic Plus cockpit, the OM936 engine and a manual Mercedes-Benz GO190-6 six-speed gearbox. It has the standard safety features required by law, including ESP (electronic stability control), AEBS (Advanced Emergency Braking System) and Lane Assistant (SPA) but not the optional ABA4 braking system nor the Predictive Powertrain Control (PPC) or Eco Driver Feedback (EDF) economy devices. 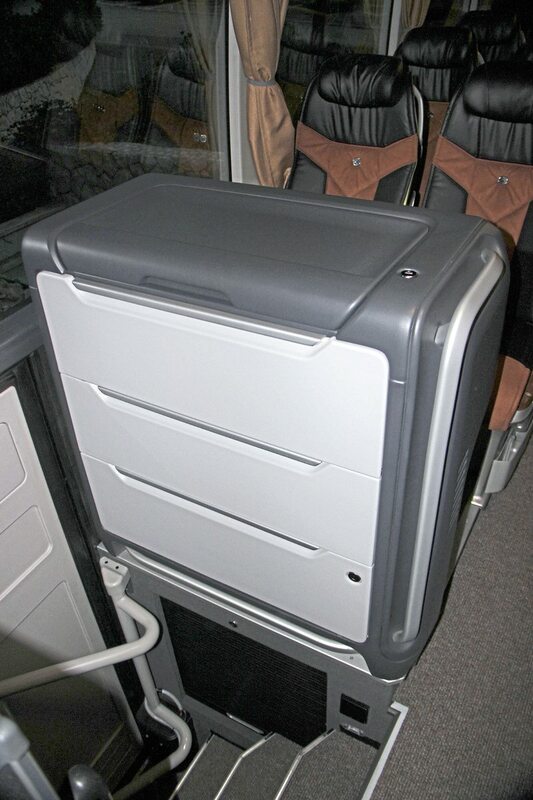 My understanding was that the only extra was a digital clock at the front of the coach, but it nevertheless featured: a courier seat; Bosch Classic Line audio system with CD player; fire detection system; two 19-inch video monitors; a Coach MediaRouter; a flush toilet and a galley with coffee machine, water boiler and hotdog heater. We saw a German specification coach and it may be that UK versions will differ, though everything on it would be available in the UK. I found the materials used are of a good standard though in the rear corner seats, the moulding squeaked irritatingly when you leaned on them, as you inevitably do, though shoulder room in this area was as good as any modern coach and better than most. At the wheel my Italian colleague felt that, although the coach was only lightly laden, the power provided by the OM936 was insufficient for Italian applications but nevertheless praised it for being, “very, very elastic” noting that “you can drive in sixth at low revs and it is still going.” He felt the handling was “amazing”, likening it to the current generation Setra ComfortClass, though he thought it was a little noisier; despite the fact noise in the cab area has been reduced by a full 5dBa. “You can drive it easily,” he said. Another colleague spoke of the “good road-holding” and “very precise steering” though he did have to hold it down a gear at times. Daimler is much better at identifying the needs of different markets than was perhaps once the case, an example being the decision to offer the ZF EcoLife automatic transmission as an option in right-hand drive versions of the Tourismo, a move mainly prompted by the preferences of British operators. I can’t imagine many (which is hedging because I’m thinking ‘any’) UK operators specifying a manual transmission and if you did, anything you saved would probably be lost on the residual value at resale. With changes to driving licence regulations even driving schools (once a customer for manual Tourismos) have no need of them. Added to this, I’m told that the combination of the OM936 and the ZF EcoLife is the most fuel-efficient version of an already notably fuel-efficient coach. One feature of the Tourismo that you don’t get with the EcoLife gearbox, which has an integral retarder, is the hydrodynamic secondary water retarder that was fitted on all of the test vehicles in Split. The Voith hydrodynamic unit works like a conventional hydraulic unit but instead of having a separate hydraulic oil reservoir it uses the coolant from the main engine cooling system as the braking medium. 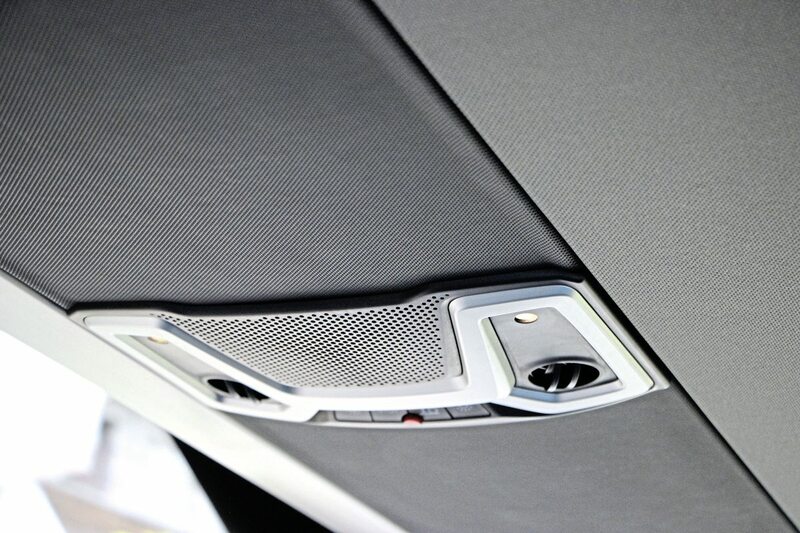 The advantage of this is that the heat is removed from the retarder very swiftly. When going downhill with retarder engaged, the retarder works as a pump, creating a huge water flow ensuring that heat is transferred to the radiator immediately and the retarder temperature stays low. I was told that the water-based system also reacts more quickly and is less temperature influenced than the hydraulic alternative because water has a more useful viscosity characteristic than oil, ensuring immediate peak braking performance. 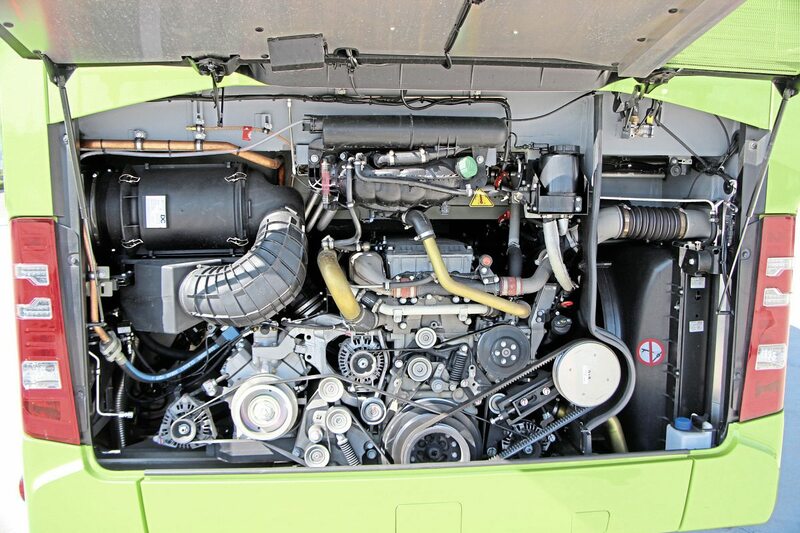 Apart from the reaction time, other benefits are that it maintains braking performance for a long time with no fade and there is less maintenance because the same 350kW capacity radiator is used with no need to top up a hydraulic reservoir. The system still has a fan, but when going downhill it is not drawing on the engine. I was already familiar with this coach because it was the same vehicle that had earlier participated in the Coach Euro Test at Linkoping in Sweden. 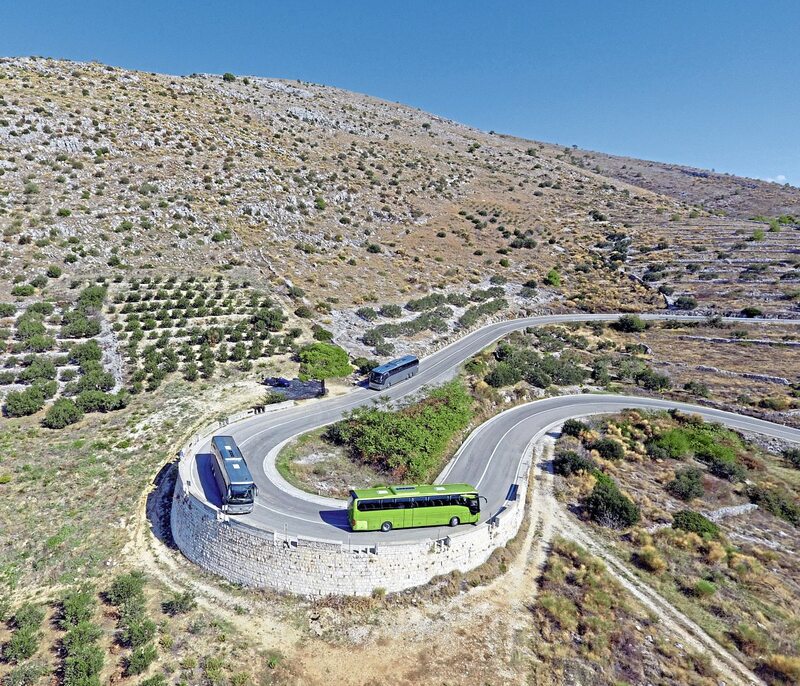 I spoke to the driver who had brought it from there directly to Split and he said that over the four days the trip had taken, the unladen coach had achieved 18.4-litres per 100km (15.35mpg) despite averaging 85kph. If the 12m showed how good the basic Tourismo specification is, this longer two-axle model showed its versatility. Equipped with 48 Travel Star Eco seats with Softline upholstery, footrests, folding tables and composition leather headrests, leather multifunction steering wheel, reversing camera with washer system and audible warning, a 2300-Watt power inverter, a sidewall-mounted 230-Volt socket and USB charging socket for each double seat, Coach MediaRouter, galley, twin 19-inch monitors, a Coach MultiMedia system with DVD player and video monitoring of the second door. 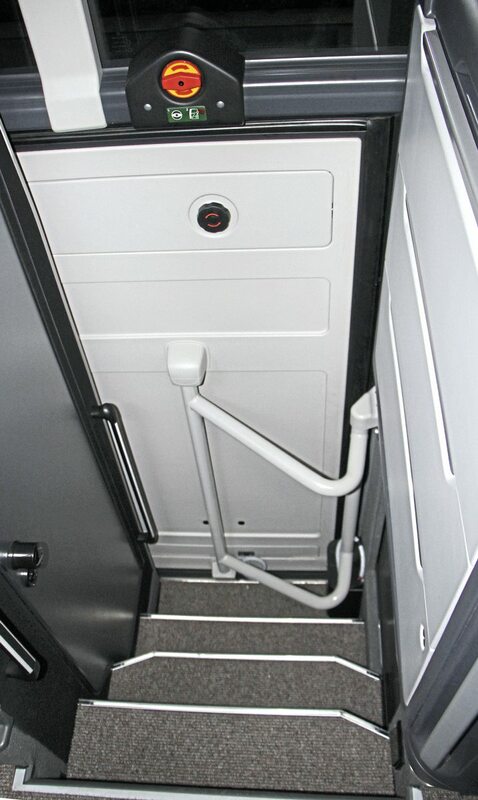 The toilet compartment houses a unit that can be switched between water or chemical flushing. Mounted on aluminium wheels and fitted with tyre pressure monitoring, it had the 428hp/315kW OM470 engine and the Mercedes-Benz GO-250.8 PowerShift fully automated eight-speed transmission, along with Bi-Xenon headlights. 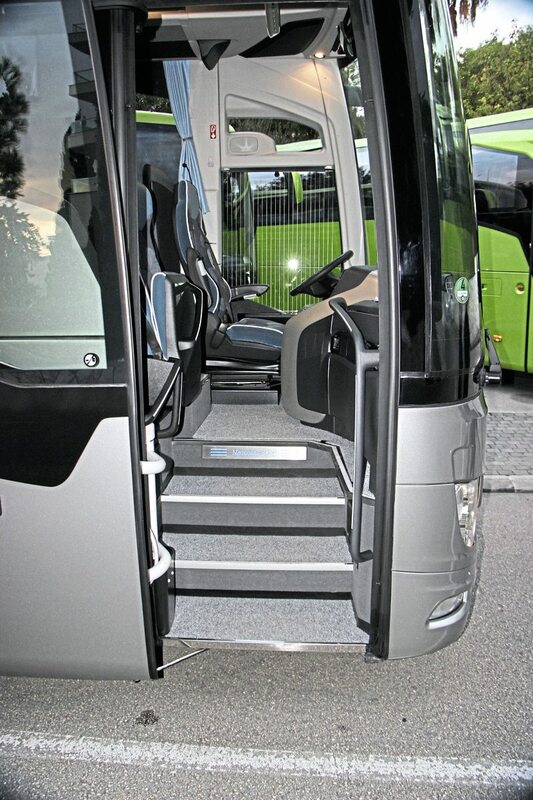 It won’t be available until February next year but this coach was equipped with ABA4; the new electronic system that can not only identify vehicles but also pedestrians and brake to a standstill to avoid them. A development of the current ABA3 option, it uses a radar sensor with a 250m range that sends a signal every 50 miliseconds. In comparison, the brain takes at least 100 miliseconds to process an image before acting. We couldn’t find a volunteer to demonstrate it on the road and wisely the locals didn’t give us the opportunity to witness it in action either, but it is an option that offers a big step forward in safety. 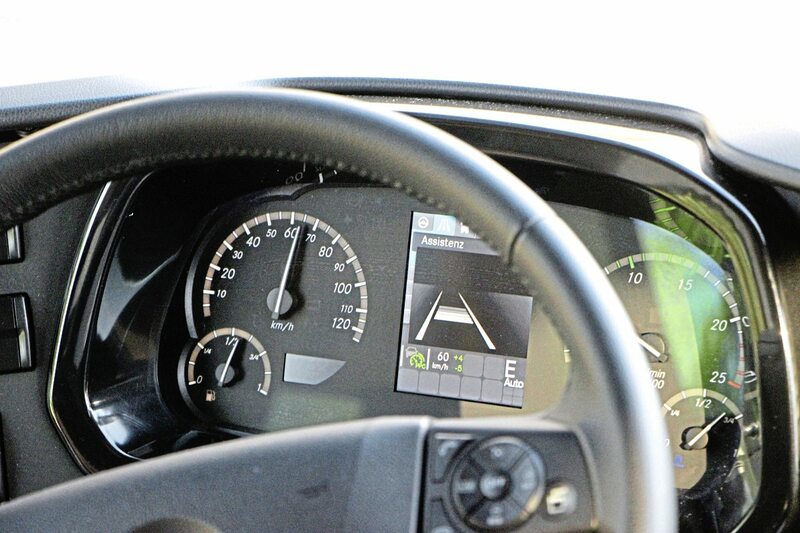 In addition to ABA4, Adaptive Cruise Control (ART) with stop/start assist (only available with the GO-250.8 transmission), Start Off Assist, and AtAs Attention Assist, it had Predictive Power-train Control (PPC) and Eco Driver feedback (EDF). PPC uses a GPS system to determine its location and using this can react to the road ahead, details of which covering most of the European network are available to it and automatically updated at regular intervals. The driver sets the speed tolerances within which the system operates and the wider these are set, the more fuel the system will save. Our driver was advised to try 98kmh +2 and -6 and this worked well as the system tries to accelerate to 100kmh but not beyond. You can feel it ease off just before it reaches the summit of a hill. You can see when it is active because the lettering turns green, returning to white when it isn’t. When the system does not have the necessary topographical data, the lettering is grey. A feature of PPC is Eco Roll which Daimler like to call ‘Sailing by bus’ but you and I would call coasting. Available on trucks for a decade, once you take your foot off the accelerator on downhill stretches it changes into neutral and disengages the clutch, saving fuel, re-engaging automatically when you accelerate. When operational the area of the main display that normally shows what gear you are in displays an E. There is no direct physical connection between the system and the engine. 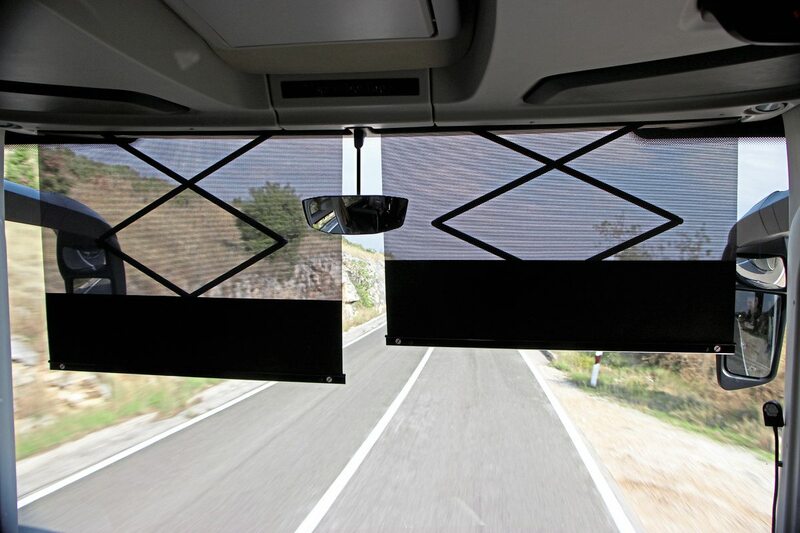 Worthy of note was a new mounting for the front decency screens that was less likely to catch your ankles than the design seen on the other coaches. The original mounting protruded over an inch into the aisle at a crucial point immediately beyond the step up to the aisle and was capable of inflicting considerable pain as I inadvertently discovered. I was not completely convinced by the new one because you could still catch it and would have preferred to see it the mounting point moved to the forward edge of the seating platform, where there is space for it without impeding the driver. Whether to go for the two-axle M/2 or the tri-axle M/3 will be a dilemma for some operators now that the 19.5 tonnes GVW limit is a belated reality in the UK. On the face of it the two-axle will be better value for money, offering the same seating capacity and more luggage room, though perhaps not the leeway to fully employ it. On the side of the tri-axle there is the shorter wheelbase and the knowledge that you are never going to be overloaded. 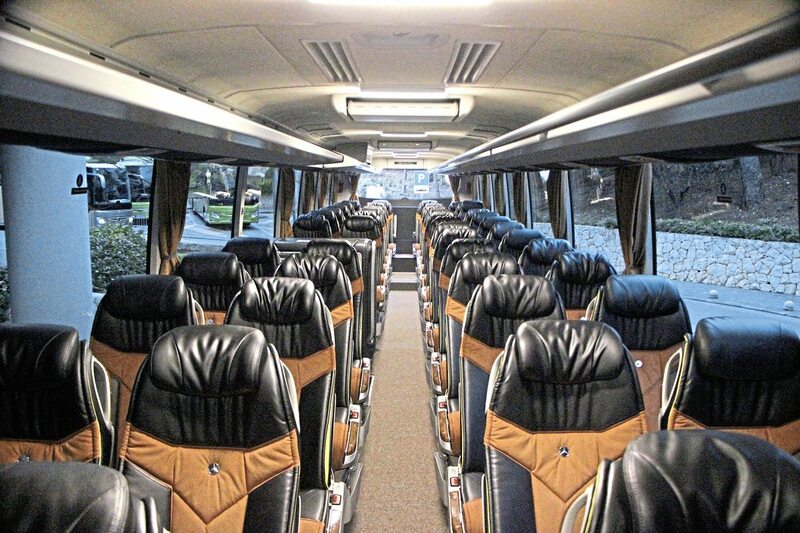 Nicknamed the ‘Business benchmark’ by the Mercedes-Benz team, this coach was finished to a very high specification with Travel Star Eco seating for 48 trimmed in the Luxline upholstery style with light tan fabric and contrasting black composition leather to the side-panels and headrests, set off with a small three-pointed star. I wasn’t quite sure about the use of a primrose yellow for the inner edges of the side ruching but this is barely visible most of the time. 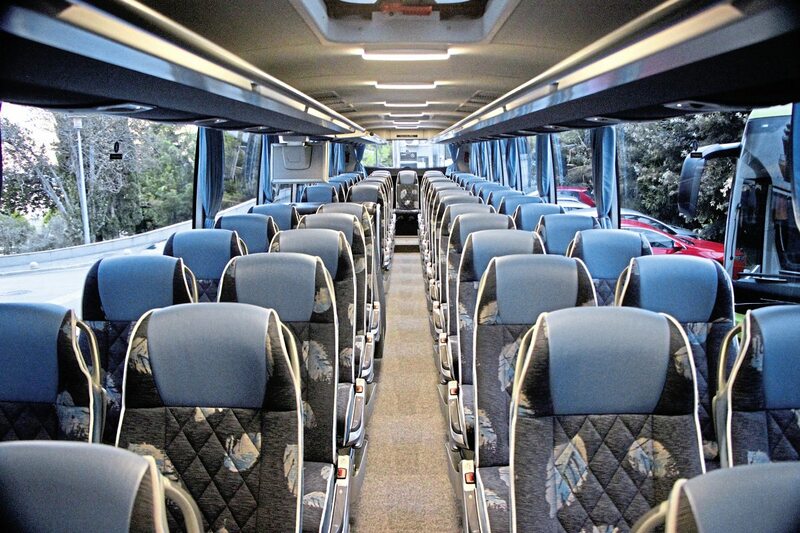 It had a great quality look and feel to it and like all of the Tourismos gave a very comfortable, smooth and quiet ride. Exactly the same driveline as the M/2 was installed with the 428hp/315kW OM470 engine and the GO-250.8 transmission now controlled via a stalk. 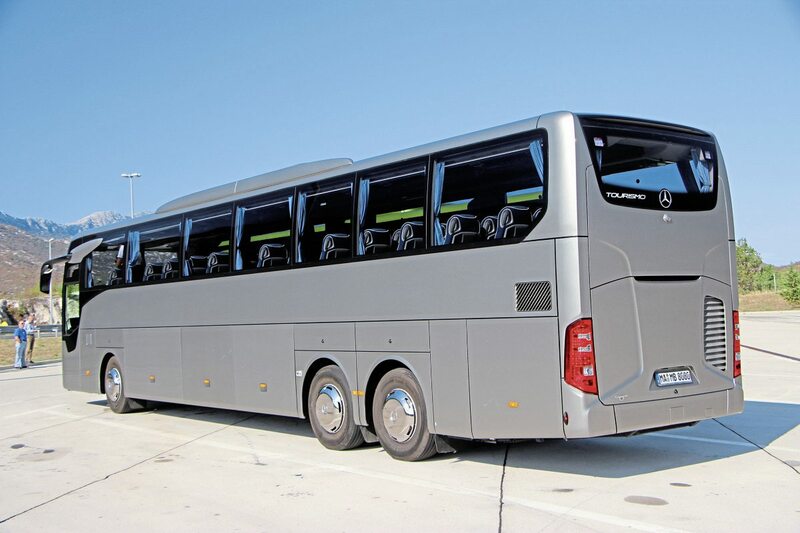 Christened the ‘Space Wonder’ for its capacity, the 13.935m Tourismo L is the longest of the Tourismo family. I don’t envisage this being a great seller in the UK; the length means you can’t take it everywhere, you have to be careful who you allocate it to and because it is not easy to cascade, residual values are likely to be less attractive than the more readily deployed shorter variants. Nevertheless, there will be those who like the idea of the longest coach Daimler has yet offered in the UK and have the high-capacity work to justify the acquisition. In total contrast to the M, the L was finished in attractive shades of blue, and equipped with 57 Travel Star Eco seats trimmed in the new Softline upholstery and fitted with aisle-side waste bins, toilet and galley, though it can be configured for 63. All interior lights on all versions of the Tourismo are LEDs and one of the few areas I am not completely sure about is the multiple, ceiling-mounted units that provide the main interior illumination. 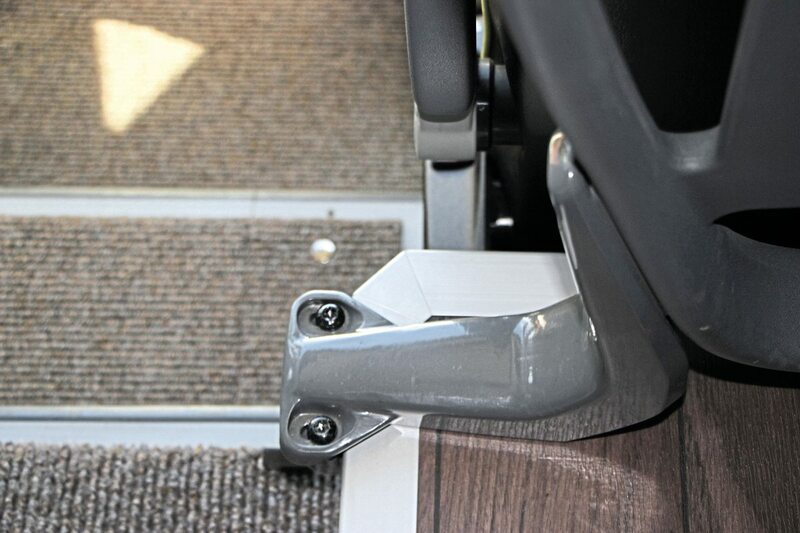 I am fine with them on the lower models in the range, but I can’t help thinking that former Travego customers would expect something subtler; more in keeping with the indirect lighting options offered by competitors. We didn’t travel on the coaches in the dark but I did in Sweden, and I think the bright blue glow from the sidewall-mounted USB sockets perhaps needs to be toned down a little. Sometimes you don’t notice how good something is because it just gets on with its job. The temperature was in the upper 20s for much of the time we were in Split but there was never any discomfort because of the new heating and air conditioning system which the development team are quietly very pleased with. It has separate driver and passenger zones with more sensors in the passenger area, keeping the temperature stable throughout the saloon to a much more accurate tolerance than was previously the case. It is easy to underestimate how much has gone into developing the new Tourismo and see it as just an update of the old one. In fact, though the dimensions, the driveline in most versions and all-round philosophy are broadly similar, it represents a major step forward in safety, economy, comfort and drivability terms while extending the options operators have to specify it to their own requirements. For the UK, the big bonus is that every version is available immediately, which is recognition of the growing importance of our market to Daimler. On the basis of this event, the recent Coach Euro Test and the launch in Brussels, I can see no reason why the marque should not continue to build on the recent success it has enjoyed, providing it continues to build the support infrastructure necessary to support an enlarged presence. Enjoyable though the event was, it was tinged with sadness because of the sudden and untimely death of former Mercedes-Benz test driver, Hermann Zehender, who passed away in his sleep in Split on the Saturday morning prior to the tests beginning. He had retired two years previously and was helping his former colleagues with the setting up process. We extend our condolences to his family and to his co-workers. A year ago, before news of the third generation was released, a successful Tourismo ride-and-drive event was staged in Split; the same format and venue was used this time. It is a near perfect location with scenic local roads skirting the Dalmatian coast, recently-opened motorways with excellent surfaces, and the city of Split for urban driving. 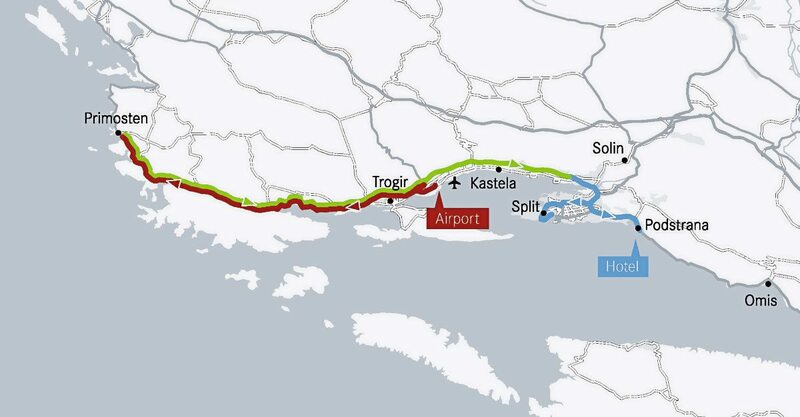 In two sessions on successive days, we first covered the 118km from Split airport to Primosten, returning via Split city centre to our hotel at Podstrana. 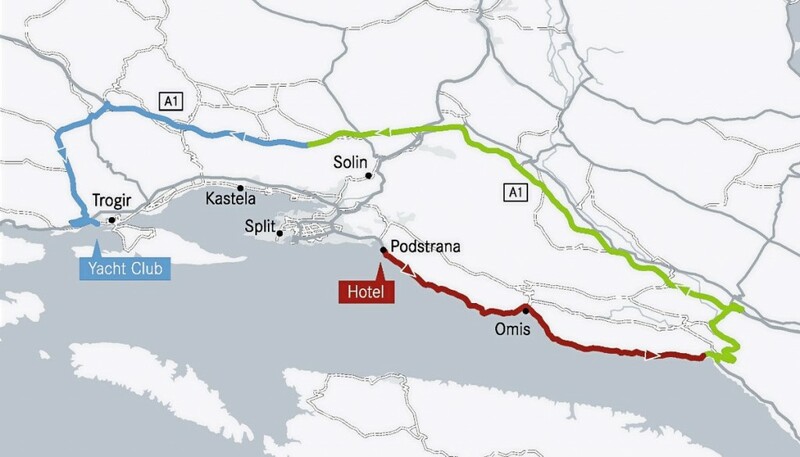 The following day’s route took us 132km from Podstrana along the coast to Omis and beyond before making the steep ascent to surmount the mountains and then taking the motorway to Trogir where, after a winding descent, the driving element concluded. Photography was assisted by the sun and scenery the area affords!